The New York City Department of Education is committed to working collaboratively with parents, educators, school communities, and external stakeholders to improve student achievement and ensure that every child graduates from high school prepared for college, a career, and a future as a productive, critically thinking adult. All grades are using the common core aligned math program, Go Math! This is a New York City recommended program. Our teachers have attended professional development meetings for the new mathematics program, Go Math! Click here for an introduction to the Common Core aligned program. Please note that you will need speakers or headphones to hear the presentation. The presentation is about 28 minutes long and will introduce you to the basics of the program. In addition, teachers are incorporating rigorous tasks from EngageNY to develop students' higher order thinking skills and the use of CRAW (Concrete, Representational, Abstract, Written) in the upper grades. All grades are using a balanced literacy model. ​The 'balanced literacy' model is as follows: The read aloud, guided reading, shared reading, interactive writing, shared writing, Reading Workshop, Writing Workshop and Word study. 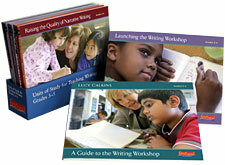 Teachers will be using The Teachers College Reading and Writing Project's Writing Units of Study this year. The program is completely aligned to the Common Core. All of the writing rubrics are aligned from grade to grade, allowing for appropriate transitions. To see some of the lessons in action and learn more about the program, click here. 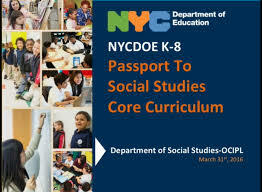 The NYCDOE K-8: Passport to Social Studies program is a comprehensive instructional resource that integrates the Common Core Learning Standards (CCLS) and the New York State K-8 Social Studies Framework to support strong social studies teaching and learning. An effective social studies program allows students to make sense of the world in which they live, make connections between major ideas and their own lives, and see themselves as active members of a global community. While knowledge of content is very important, it is equally important to engage our students in historical thinking. This program challenges students to think like historians and encourages them to raise questions, think critically, consider many perspectives, and gather evidence in support of their interpretations through the practice of chronological processing, decision-making, and historical research and analysis. These real-world skills will serve students well as participating citizens of a democracy. P.S. 193 has a plethora of technology available throughout the building, including but not limited to SmartBoards in every classroom, an iPad in each classroom, laptop carts on each floor and a Apple equipped computer lab. In addition, teachers are able to integrate technology into every subject area within their own classrooms. The Common Core Learning Standards requires the integration of technology throughout all of the core subjects. Each of the programs listed above integrate technology into their daily practice. 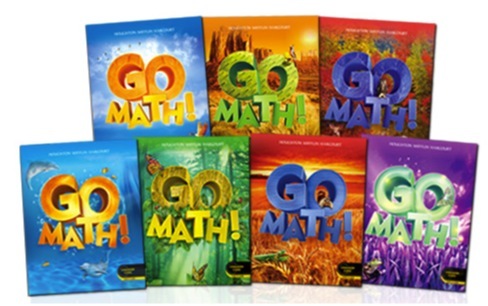 For example, all of the Go Math lessons can be taught interactively on the SmartBoards. Many of the units of study in the Teachers College Writing Workshop requires teaching students how to conduct research via the Internet. Students conduct research using the Independent Investigation Method (IIM) in the Computer Lab. In addition, students utilize technology independently to demonstrate the skills they've attained. Students in the upper grades type their published pieces in some of their writing units on Google Drive. They conduct research on the laptops provided from the laptop carts on each floor and the iPad in each classroom. Moreover, students take their Math assessments online using Think Central, a program linked with Go Math! to generate quick data in an effort to inform teachers' further instruction. Students taking their assessments online will prepare them for the New York State Tests, which are moving towards being online assessments. Teachers will continue to be assessed using New York City's evaluation system in combination with The Danielson's Teaching Framework. New York State passed this law and put it into effect on June 1st, 2013.